Junk for Code : an apocalyptic culture? ---- Adelaide is home. Work is often in Canberra. Relaxation is in Victor Harbor. I'm a frustrated photographer & philosopher who has lost his way in life. I used to be a policy wonk. Now, as a knowledge worker I have trouble learning to live in a complex digital world. Personal expression is the way I critically cope in a technological mode of being. The weblogs below are national. These are the ones I drop by to read for critical reflections on the diverse strands of our nostalgic and biutalist modernist and postmodern culture. 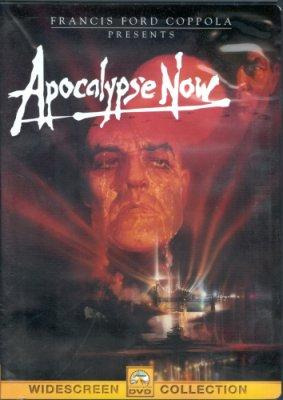 John Kay's claim about environmentalism as an Apocalypse myth was badly stated, but it does open into a consideration of whether we are living in an apocalypse culture. It does appear that apocalyptic dread is alive and well in popular culture; the discourse around bush fires, viruses, Avian flu, terrorists, global warming has apocalyptic themes with its fears and hopes. With respect to global warming we await the consequences. Fatalism rules in an apocalypse culture, which has arisen from the collapse of the grand systems of thought that once dominated Western intellectual culture. Mervyn F. Bendle argues that popular culture is awash with images and narratives of the apocalypse in various forms. These range from war and acts of terrorism involving “Weapons of Mass Destruction,” to religious, science-fiction, horror and fantasy representations of the “End Times,” depicted in a wide range of media including novels, comics, film, television and video games. Bendle's argument is that we are are living a move away from a basically liberal optimistic outlook that complemented secular faith in human progress based on reason, science, technology and social amelioration, towards a far more pessimistic view that distrusts these values, and instead sees the near future in terms of social disintegration, violence, war and ultimate catastrophe, before a final deliverance brought by divine power. It is this dark vision that now shapes the contemporary apocalyptic imagination in both its religious and secular forms. We should acknowledge that our world is doomed, that it has no future; but also that it is not the only possible world, that other worlds have been and will be. The world that is to come is not the future of our world; it is not the world we intended for our children, who arrive, as all children must, at the edge of the void. Barbarism, yes: the present barbarism, the barbarism of the ages, limitlessly cunning and polymorphous and yet always ultimately the servant of the same intransigent stupidity and imaginative incapacity. Barbarism and then socialism? It remains to be seen. In many ways, however, we have ceased to imagine the end of the world just as surely as we have lost our ability to imagine the end of capitalism. Oddly, apocalyptic dread - so omnipresent during the Cold War - seems to have been extirpated from the popular unconscious. The possibility of environmental catastrophe may well be entertained as a rational hypothesis, but it does not dominate our collective dreams in the way that the threat of nuclear annihilation once did...t's worth pausing here to reflect that, in the debates over climate change, it is no longer the apocalyptic potential of current trends that is disputed; what is doubted is whether any effective action could be taken to deal with it. It is increasingly difficult to imagine alternatives to capitalism:---the world goes on, but nothing new can ever happen. What remains is cloning and recombination of capitalism. Is that the only option? How about the self- destruction of capitalism due to the economy's laying waste to its ecological life support, and its inablity to resolve this contradiction?